Here are the five major issues with the Chinese Bible. First, the Chinese government restricts the legal printing of the Chinese Bible to a single facility in China: Amity Printing. Second, the Chinese Communist Party prohibits the Chinese Bible from being sold at Xinhua and other bookstores in China while allowing the sale of the Koran and the texts of Buddhism, Hinduism and Taoism. Third, by allowing the Chinese Bible to be sold only at its Three Self churches that are surveiled by face recognition-enabled CCTV cameras, the Chinese government uses the Bible as bait for identifying Christians, including those from the underground church who come to buy the Bible (see Christian persecution in China). Fourth, there is still no Chinese Bible that uses modern Chinese to translate the original Greek New Testament. The Chinese Union Version (CUV), by far the most widely read Chinese Bible today, serves as an example. Published in 1919 using vocabulary now considered archaic, the Chinese Union Version translates into Chinese the B.F. Westcott and F.J.A. Hort's 1881 English translation of the Codex Sinaiticus. In recent years, Westcott and Hort have been exposed as 19th century New Age occultists who together founded four occult groups, including those that used séances and mediums to contact the dead. And the ancient Sinai region of Egypt, where the Codex Sinaiticus was discovered, is recognized as the original hotbed of Gnosticism, the first pseudo-Christian cult that denied Jesus' incarnation, death and resurrection (see True Gospel). The only group that still uses Westcott & Hort's 1881 English translation that was translated into the Chinese Union Version is Jehovah's Witness. There is an urgent need for a Chinese Bible whose New Testament translates the original Greek Textus Receptus or the related Majority Text into easily understood modern Chinese, or one that at least translates into modern Chinese either the New King James Version (NKJV) or the King James Version (KJV), both of whose New Testaments are based on the original Greek text. This work should be done by born-again Christians who are experts of the Chinese language and the original texts, and who are controlled by the Holy Spirit, not the Chinese Communist Party or the desire to profit from the world's largest and the fastest growing Bible market. 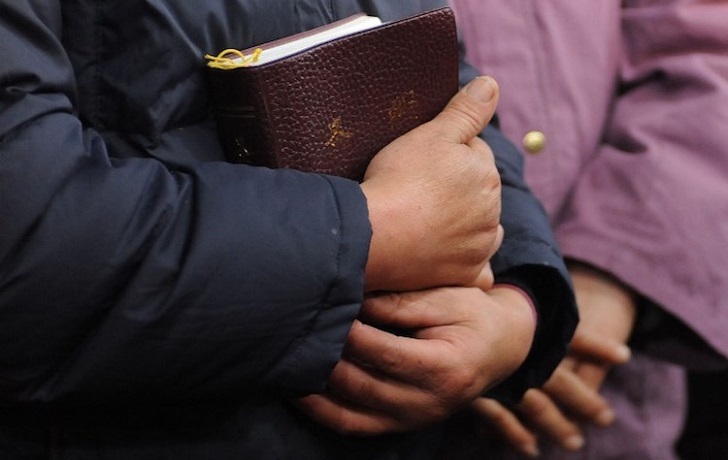 The China Christian Council and Three Self Patriotic Movement - two organizations through which the Chinese Communist Party tries to suffocate Christianity in China - have announced the "Sinicization of Christianity" in China. This plan will add "annotations" to the Bible to make it support socialism and will re-translate the Bible in the future to make it conform to the ideologies of the Chinese Communist Party. Annotations that twist the Word of God and a "re-translation" that intends to butcher it are both unacceptable and must be rejected. Clandestine Bible printing inside China and Bible smuggling into China should prepare to resume operations.